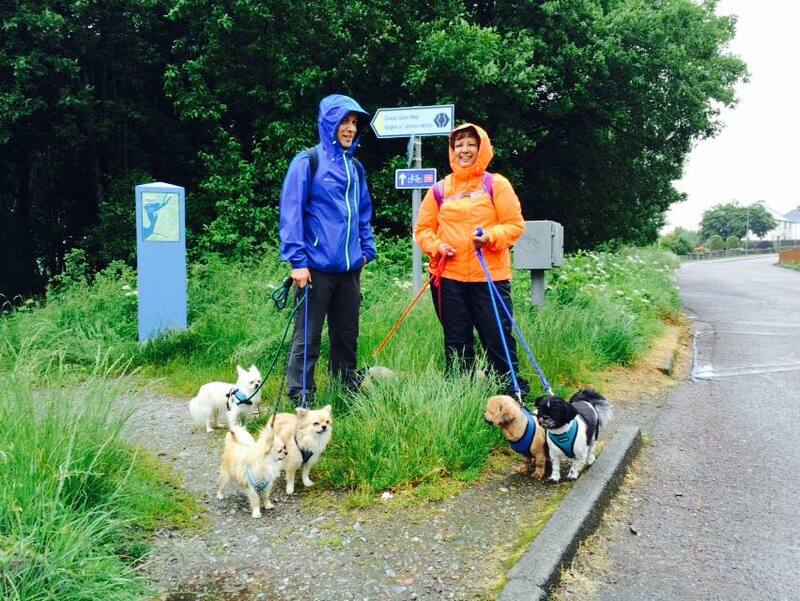 #StopBokNal2015 Team Set Off On Journey! Today Robert, Daisy, Justin and their 7 strong doggy team today commence their journey along Scotland’s Great Glen Way! Over the next 7 days they will be covering 80 miles. The trails starts from Fort William at the foot of Ben Nevis, the tallest mountain in the UK. The team are walking to raise awareness of the terrible Korean dog meat trade and the period of intensified dog meat eating around Bok Nal, the hottest days of the year. One of the fallacies used to promote dog eating in Korea is that is helps to cool the body. In Korea dogs are actually farmed and there is even a breed of dog which is regarded by Koreans as livestock for the purposes of consumption. This is the Nureongi dog – which literally means ‘yellow one’ they are regarded in Korea as inferior but in reality they are just like any other dog – capable of loving, feeling and suffering. Those few dogs who have been rescued make loving companions. 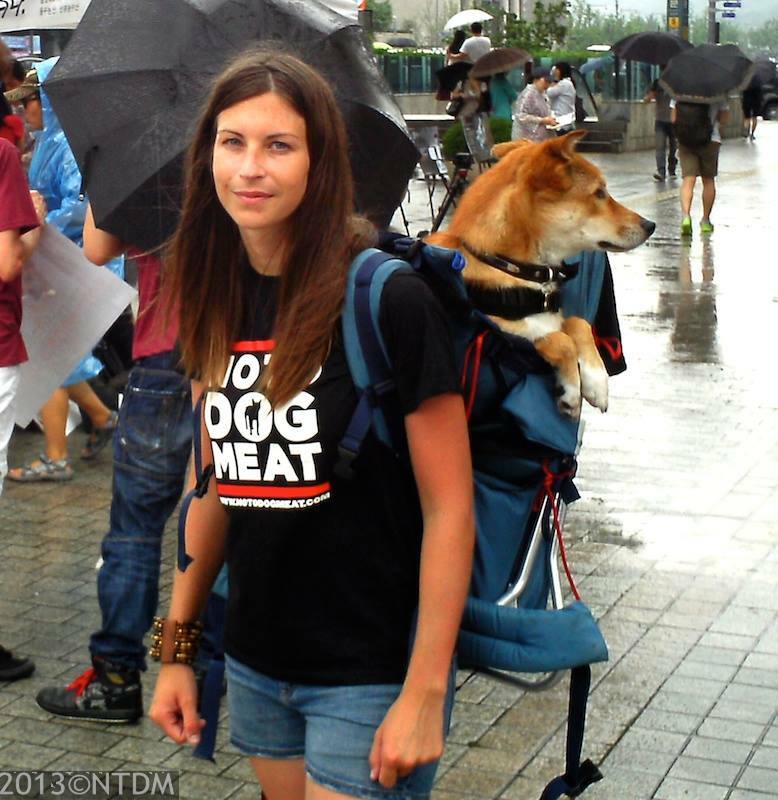 Pictured here is Claudia, a NoToDogMeat supporter with her rescued Nureongi dog. Other dogs can also be bought for meat at markets and people can even take their own dog to the slaughterhouse when they have served their purpose…. What a stupid excuse, “It helps cool the body”!….In China it’s the opposite…”It helps warm the body”. What a lot of excuses for heartlessness, blatant unbelievable cruelty and a holocaust for animals! This all has to stop. I never received so much love in my life as that love from a dog. But this hopefully might make us in the West examine more carefully OUR treatment of ‘food source’ animals, and their methods of slaughter…whether chickens, pigs, sheep, cows….All animals have souls! …Sorry….bit of a rant there. GOOD LUCK TO THE TEAM! Blessings to you all (doggies included) for doing the walk for your brothers and sisters thousands of miles away.